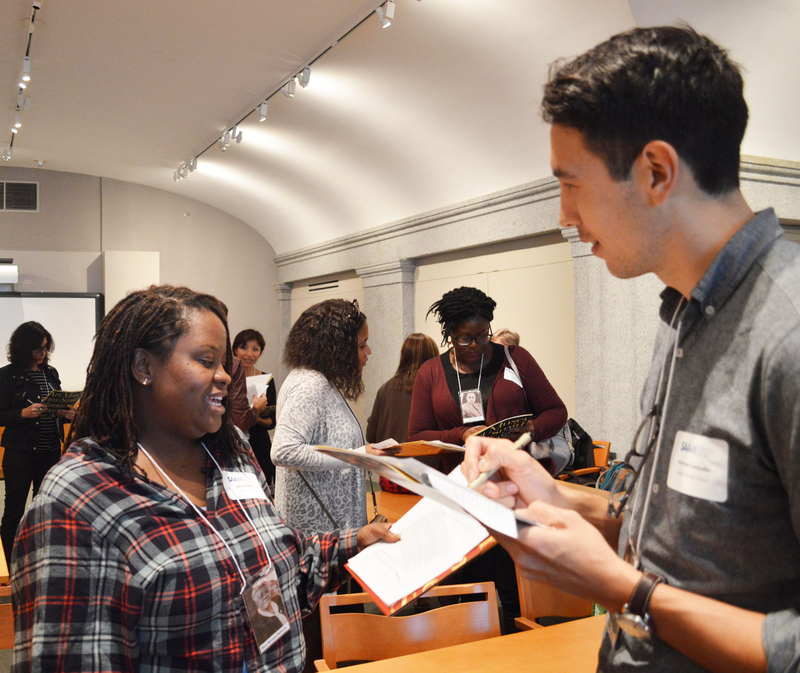 Teaching for Change was honored to partner with the Smithsonian American Art Museum (SAAM) for Art and the African American Experience, a program for teachers in celebration of the 2016 grand opening of the National Museum of African American History and Culture on October 13, 2016. The goal of the evening was to share classroom lessons on African American art that challenge and transcend traditional textbook narratives. 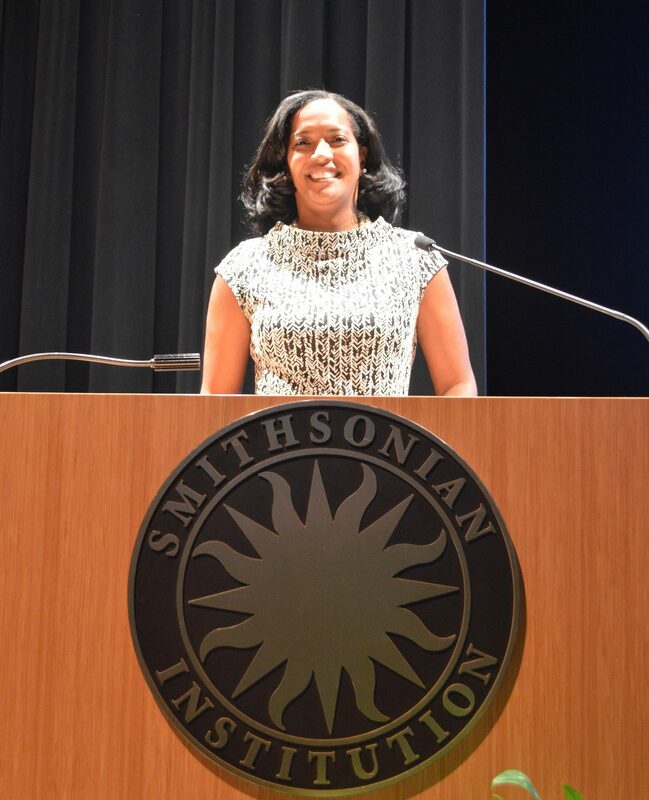 National teacher of the year, Jahana Hayes, expressed in her opening keynote why it is important for students to see themselves reflected in the curriculum. Teaching for Change introduced a lesson called Expanding the Narrative: Meet and Greet the Harlem Renaissance. This lesson was based on SAAM’s exhibits Harlem Heroes: Photos by Carl Van Vechten and Artworks by African Americans from the Collection. 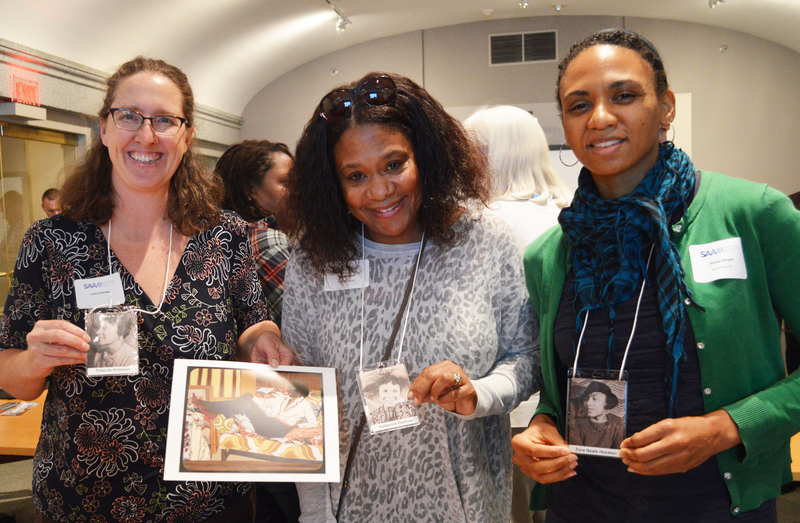 Participants learned about the Harlem Renaissance by taking on the roles of historical figures such as Eslanda Robeson, Langston Hughes, and Jacob Lawrence. Teachers began by reading a short biography of their character and then writing an interior monologue, “If I were alive today, how would I be challenging the current injustices in the world.” Then they were invited to participate in a meet and greet activity. In closing, they examined selected art by African Americans, selecting the piece that reflected the work, passion, and/or legacy of their character. I could use it with any characters in US history – when teaching civil rights, great depression, WWII, any topic. I love role-play activities! As an art teacher, I would focus on African American visual artists. I might also link with the history teacher. I absolutely never thought of linking the visual art to the performing artist. I love how this channels a student’s brain! [I learned] how to integrate art and literacy skills, the big district goal this year in PGCPS. Great ideas! Started good conversations – opened the door to teaching history in an interactive and dynamic way! Great lesson plan ideas, really useable activity, and easy to adapt. Great interactive way to learn more about multiple historic figures and make inferences and connections. Participants left with packets of art and other materials courtesy of the museum.